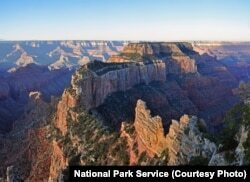 EDITOR'S NOTE: This year, the U.S. National Park Service turns 100. American’s 28th President, Woodrow Wilson, formed the National Park Service in 1916 to “protect the wild and wonderful landscapes” in the United States. President Ulysses Grant established Yellowstone National Park as the country’s first national park in 1872. Today, the National Park Service protects over 400 parks and historical sites from coast to coast. Every week, VOA Learning English will profile one of the sites within the National Park Service. The canyons of America’s Southwest are deep, ancient openings in the Earth. They look as if they formed as the earth split apart. 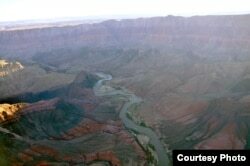 Native American occupied the Grand Canyon 3,000 years ago. 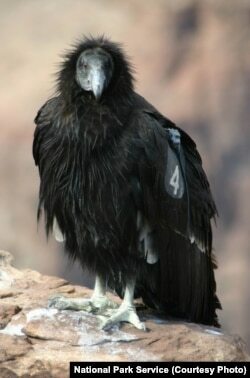 Bones, hair, feathers and the remains of plants have been found in deep, dry caves high in the rock walls. The Hopi, the Paiute, the Navajo and other Native American tribes have all been in the area for at least 700 years. John Wesley Powell's group during their second expedition of the Grand Canyon, 1871. 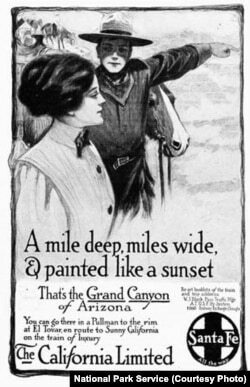 John Wesley Powell’s reports and maps from the trip greatly increased interest in the Grand Canyon. But visitors did not begin to go there in large numbers until 1901. That year, a railway was built that reached the area. 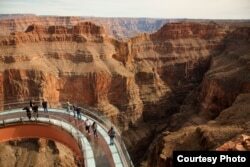 For visitors hoping to get a view of the entire Grand Canyon, they will have to travel well beyond the state of Arizona. 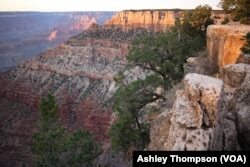 Ashley Thompson wrote this report, with materials from VOA Learning English archive and the National Parks Service. Hai Do was the editor. Snow across the burnt-orange rock of the Grand Canyon seen from space.